Cheng, Andrea. 2013. The Year of the Baby. Illus. by Patrice Barton. 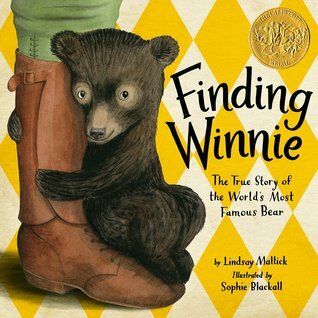 NY: Houghton Mifflin Books for Children. ISBN: 9780547910673. In the sequel to The Year of the Book, Anna is one year older and has two good friends by her side, Laura and Camille. Now, this year's challenge is Kaylee, her new baby sister that her parents adopted from China. Though she is adorably cute and stubborn she just does not want to eat. 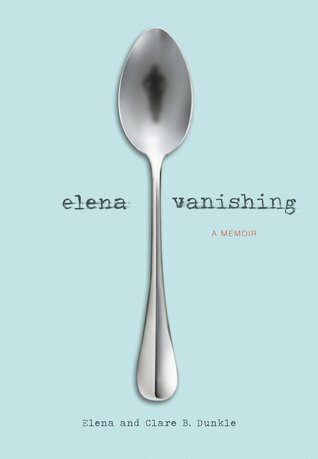 Anna and her family are concerned when the doctor says that she is not thriving. While the family, along with Grandma, focuses on helping Kaylee, Anna and her friends try to find just the right science fair project idea. 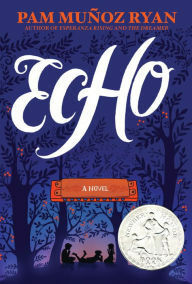 Not wanting to do a project straight from a book, like the one chosen by Allison and Lucy, Anna decides through her observations that her baby sister is the answer. Perhaps singing to Kaylee will help her eat more? With the help of Laura and Camille, Anna sings two English songs and two Chinese songs to see which Kaylee responds better too, and the result is twofold. The reading style of the book is calm and almost relaxing in nature. Yes, the story is compelling enough to keep the readers interested all the way through. The black and white illustrations are equally as simple yet charming. I love how Anna is curious, is always asking questions, and observing things. She is also honest with her feelings and worries, and she is accepting of others and their differences. 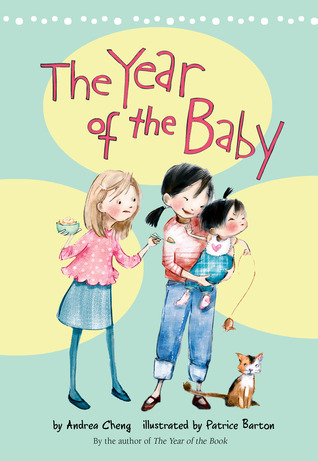 The topic of an Asian American family adopting a child from China is a refreshingly new to children's books (or at least to this reader) and very interesting to read. Other minor topics about race and the opinions and treatment of girls (such as families in China prefer boys over girls) is also masterfully done. Readers also learn that having children can be difficult. Without out going into unnecessary details, it turns out that Anna's teacher Ms. Sylvester has been having trouble conceiving and wants to learn more about adopting a baby from China like Anna's parents. Like in the first book, there are Chinese numbers (in character and English translation) and their pronunciations are included at the beginning of the book. In the back, there is also a recipe for Steamed Red Bean Bao Zi. Both are great connections for the young readers to explore after or during the reading of the book. A must-purchase sequel for any collection. You do not need to read the first book to enjoy The Year of the Baby, but if you would like more information about things about the year before when they are mentioned, then read The Year of the Book.I am looking forward to the next installment: The Year of the Fortune Cookies. Ask the children if they know what their parents did to make them eat when they were babies. Read WP-CC's review of The Year of the Book here! 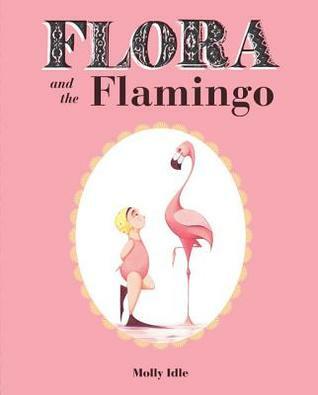 Flora and the Flamingo - Picture Book Gush! This is not entirely a book review (in some form and fashion it really is). This is more of a book gush. I don't know if I can put into words or complete sentences on how much LOVE this book. I have seen so many different types of picture picture over my lifetime as a reader and as a Children's Librarian. Generally, adjectives I've used in the past to describe the books include "cute," "adorable", "pleasant," "lovely," "funny," "icky," "gross" "ugly," (those last three are describing book illustrations are not my cup of tea). I cannot remember a time of when I used the word "beautiful" ... until now. Also, I am not only referring to the illustrations. I am referring to the entire book itself. Cover art. End pages. Illustrations. Book design. Flora and the Flamingo is a beautiful book. Hands down. I don't care what other people may say. Another way I can describe this book is that it's like finding a friend and never wanting to let it go. I am constantly looking at this book, I had it on display during a My Favorite Stories storytime, I have a poster in my storytime room, and I am getting to the point that I will have buy this book so that it can grace my home for forever. This beautiful book makes me happy. Idles, Molly. 2013. Flora and the Flamingo. Illus. by Molly Idle. San Francisco: Chronicle Books LLC. ISBN: 9781452110066. Though Flora and the Flamingo is a wordless, flip-the-flap book it does not mean that this book lacks characters or a story. Unlike some lift-the-flap books, but not all, this book has a real storyline. A beautiful flamingo is resting by by the water when Flora appears in a bathing suit, flippers and adorable swim cap. She follows the bird's movement creating a graceful dance between the two of them. Then... a flop. through their twists and turns they have become friends and the flamingo encourages her back to the dance before splashing into the water at the end. As you are turning the pages, in tuned with the story, and flipping the flaps to reveal the next move, you can hear the music they are dancing to in your head (at least I do!). The sense of movement you get of Flora and the flamingo dancing around the pages is excellent. A study of lovely pink hues and a pop of yellow from Flora's swim cap is calm and soothing. All picture books are works of art. Art in writing. Art in illustrations. Art in book design. Plain and simple. Flora and the Flamingo is an example when all three things (yes, there are no words, but a story had to be developed somehow. Perhaps note taking? Also, don't forget the cover flap description!) combined creates the ultimate book. This book is a masterpiece. The fonts used on the cover and cover flaps are perfect. The delicate yellow scalloped border of the vignette on the cover. Matching plain yellow end pages. The black and white stripe at the top of the spine. A word for design: Perfect. For those who enjoy picture books on eReaders I have seen the Adobe EPUB version as well as the Kindle Book version. I was disappointed in the EPUB format as the illustrations did not fill up the whole screen (it did better in the landscape view). The Kindle Book version was better. Not only are you required to view the picture book in landscape (and it fills the entire screen! ), but it is still interactive like in the real book. Whenever there is a flap the reader will have to double-tap to "flip" it. The only downside side is that you cannot do both flaps at once like you can with the real book. I still recommend reading/sharing the real, original book format, but the Kindle version is my second best choice. It will be a sad day when the book's flaps will be separate from the book pages. However, that means that this book was read over and over again and was loved. Which is also a wonderful thing! A must read and own book! View the book trailer at Chronicle Books' webpage (scroll down to the bottom). Ask the children if the music that was used matches the music that played in their head while they read the book. Play different types of music while reading the book (perhaps several times) and allow the children to decide which one they think fits the best. Different answers are encouraged! "... if I had to put all of my money on the top Caldecott contender for this year? This one, by leaps and bounds." For the first time, my fingers will be crossed when it comes to the Caldecott Medal announcement next year! I think I have found yet another favorite read this past month and a half. 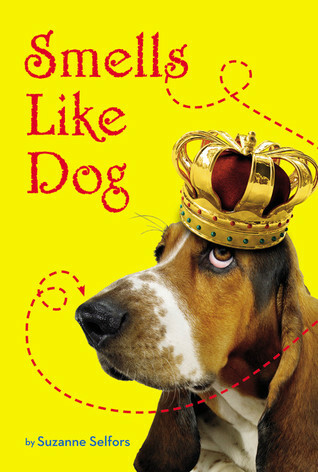 It is the Smells Like Dog book series by Suzanne Selfors. Selfors, Suzanne. 2010. Smells Like Dog. 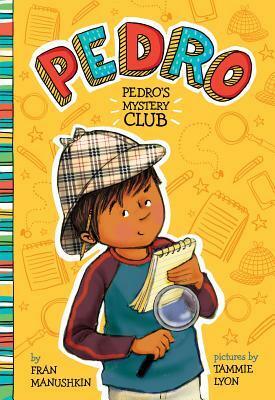 NY: Little, Brown Books for Young Readers. ISBN: 9870316043984. Selfors Suzanne. 2012. Smells Like Pirates. NY: Little, Brown Books for Young Readers. ISBN: 9780316215756. Homer W. Pudding is not necessarily your average twelve-year-old boy. He's a little chunky, he loves maps, and he dreams of being a treasure hunter like his Uncle Drake. The other kids at his one-room school (he lives in a small country town) all make fun of him. Living on his father's goat farm where he has chores isn't much of a treasure-hunter's way of life either. His father is a grouchy goat farmer (who has lives with dashed dreams), his bossy older sister (who has a pension for road kill and taxidermy) is always embarrassed by him, but his mother and little brother Squeak love him unconditionally (his father and sister do too, really). 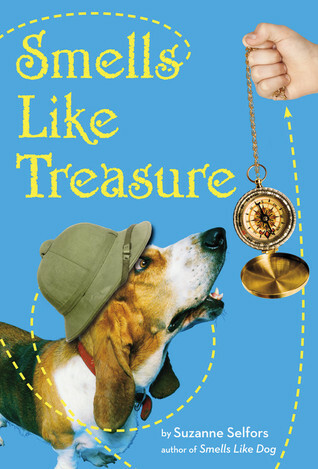 In the first book Smells Like Dog, not too longer after sharing the secret that he had found the map to the world's most famous pirate Rumpold Smeller's most coveted treasure, Uncle Drake is tragically and puzzlingly swallowed whole by a turtle at The City Zoo, and Homer inherits his "most treasured possession." But is it the basset hound named Dog who cannot smell a single thing or is it the coin found on his collar that has word L.O.S.T. on it? During a trip to The City and the Museum of Natural History, which is where he meets his first enemy Madame le Director, the adventure begins to solve mystery of what happened to Uncle Drake, where did all his belongings disappeared to, what does the coin mean, and why did Uncle Drake have a dog that cannot smell? With the help of his new friend Lorelei, Homer enters a whole new world as that he has always dreamed of. Full of twist and turns, readers will feel the excitement, hurt and betrayal (sometimes friends have secret motives and will stab you in the back, per say), and triumph right along with Homer and Dog. Smells Like Treasure, the second book in the series, starts off a few months after the first one ended. Homer is back in Milkydale at the farm when he gets the notification that L.O.S.T. (the Society of Legends, Objects, Secrets, and Treasures), a secret society of treasure hunters, has called a meeting to discuss Homer inheritance of his Uncle Drake's chair in the group. His friends and fellow members of L.O.S.T., extremely tall Zelda and and inventor Ajitabh, are on his side, but other members are skeptical for allowing such a young member into the group let alone if he truly was rightful heir to the empty position. Then, all of sudden, Lorelei enters to claim the empty spot stating that she has the coin of membership. Now, Homer and Lorelei must put the treasure-hunter skills to the test and be the first person to find the hidden membership coin to claim their rightful place in the society. The introduction to the rest of the L.O.S.T. members expands Homer and readers' world. Fellow member, and teenager, Hercules is a humorous and delightful hypochondriac character to meet that readers will greatly enjoy. 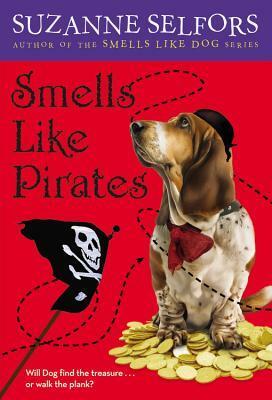 This book is also laced with a few chapters about the history of Rumpold Smeller and how "he" became a pirate, which is very important to learn when you read the third book. In the third book Smells Like Pirates Homer faces yet another hurdle soon after becoming a bonafide member of the L.O.S.T.. While at meeting to determine the new president of the society, it was announced that Lorelei has gotten ahold of Rumpold Smeller's map, which should have been safely hidden under Homer's bed back in Milkydale, and looks to claim the treasure for FOUND (her own treasure hunting society). Now, he and his friend/adversary have a gentleman's agreement to search for the treasure and split it 50/50. Hercules follows to record the hunt, especially to prove that Homer has not betrayed L.O.S.T. like other members. All turns out well in the end, which is such a relief! New treasure has been discovered, friendships rebuilt, and new discoveries that will lead to new adventures for our dynamic duo, which could possibly turn into the terrific trio. Readers also learn that Lorelei has a famous treasure-hunting lineage, that she and Homer are still unaware of, and which the readers will love! All three of these books have solid, well rounded characters that you will instantly love or hate or be suspicious of. Every single one of them have distinct qualities and characteristics that sets them apart from any other. Homer himself is an upstanding fellow who has an amazing qualities and feelings. Even though horrible things could happen and he feels the betrayal of close to him he can still put any ill feelings aside to work with the person or to refrain from saying things at the wrong time. All readers will fall in love with Dog and will connect to the attachment between Homer and Dog. When betrayal, distrust, a plotting scheme occurs that throws Homer's plans in a momentary spin, the readers will feel it, especially when Dog is "borrowed" on a couple of occasions. Another great element of this book is the use of Greek mythology, such as The Odyssey. Though the books could each stand stand alone, I highly recommend starting from the beginning to get all the back story. Smells Like Pirates ends with just enough information that leaves readers with the hope for a fourth book. I'm ready for more Smells Like Dog books! And maybe my own basset hound. Have the children explore the realm of cartography! Allow them to learn how to read a map properly. Let the children create their own map! Explore books about lost treasures. Allow the children to create their own hypothesis of where the treasures would be located today. If the children were a member of L.O.S.T. what would they be like? Would they be an inventor like Ajitabh? What would their official treasure hunting outfit would be? Have the children compare elements of the book series to the Odyssey.